Our forthcoming events are shown below - do think about joining us at a social event. Even if you’ve never been before, newcomers are always welcome. If you can’t join us but want to support us, look out for one of our sponsored events. 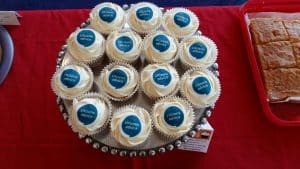 On 5th March, 2019 Citizens Advice Epsom & Ewell will be hosting a bake sale as part of an initiative spearheaded by the London legal Support Trust known as The Great Legal Bake. Through this event we hope to raise much-needed funds for our service so that we can continue to offer free, confidential, independent and impartial advice to anyone in the local community who is in need of our support. The event will be held at The Ashley Centre in Epsom between 10 AM and 3 PM so do come along and sample some delicious home-baked goods in support of a valuable local cause. If you are eligible for Gift Aid, this can be added in with a few ticks on the VirginGiving page, and it adds – at no cost to you – a valuable £5 for every £20 donated. We are grateful to London Legal Support Trust for organising this event and making it available at no cost to free advice organisations such us ourselves for fundraising. Thank you to our 3 County Councillors (Cllr Eber Kington, Cllr Jan Mason, Cllr John Beckett) who provided funding for our new website. This is an up-to-date website that is much easier for client to navigate and find out what help and advice is available for them. Want to stay in touch and hear more about what’s coming up?